The Realm of Angels, Beautiful and Sacred can be entered into by anyone with an open heart, anyone ready to be accepted into unconditionally loving arms of guidance and protection. 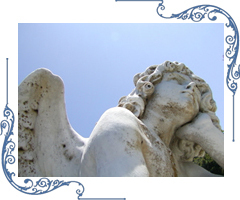 Angel Readings are messages from your Angels. They may reveal their names to you or perhaps the names of your ancestors acting as your guardians in this lifetime. To connect with your Angels can be life changing. Becoming aware of them and how they give us daily signs and glimpses of their presence can bring happiness and peace when we realize we need not carry our burdens alone. 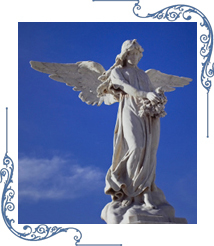 To assist you in connecting with your Angels is the goal of Angel Reader Tani Reynolds.